I’m not at all sure when I first heard Bingo Trappers – Netherland’s lo-fi charmers centred around the core of Waldemar Noë and Wim Elzinga. 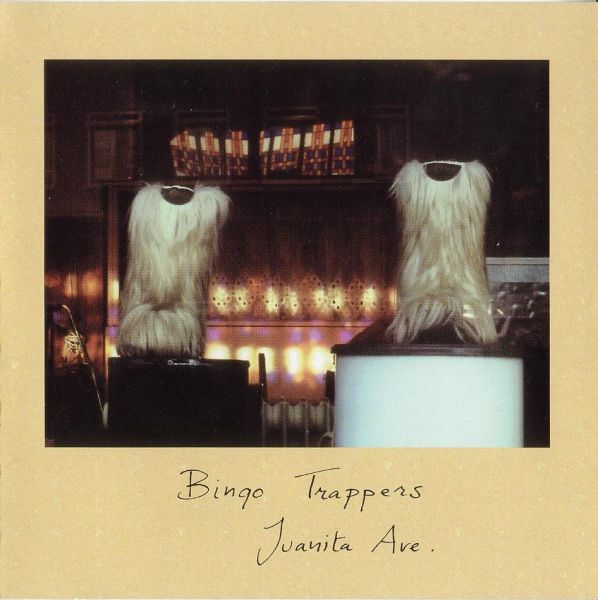 I bet it was their name that attracted me first – Bingo Trappers – quirky like their lyrics it still makes me smile; conjuring up a Monty Pythonesque skit. They released their debut cassette More Soul back in 1995. In 1996 the song Blue Carpet Tiles featured on the US Compilation Whiskey, You’re the Devil; the musical equivalent of naive art it showcased their affinity for home-taping, alluded to greater things with their innate story telling, and while still bound by tradition delivered a unique sound – like great bands do. Over the next ten years continual episodes of short run tapes, CDRs and vinyl nipped in and out of the real world. Juanita Ave was released in 2001. Like I say, I have no idea how I latched on to these guys, I do know I didn’t acquire Juanita Ave until 2010 and I’ve been on the lookout for more since. Silence. Until last month. Sister Planet, their first recording for almost a decade is available on vinyl in a run of 150, so the chance of getting a copy is probably slim. Luckily it’s on Bandcamp. Juanita Ave overflowed with a naive sophistication, 15 stories peeking into their diverse lo-fi world. Curious, but oddly familiar. Now Sister Planet sounds like an old friend with a decade of stories to catch-up on. Best of all its still lo-fi, curious, and naively sophisticated. Just more so. This entry was posted in Music and tagged acid pop, lo-fi, Morc Records, Netherlands indie. Bookmark the permalink.